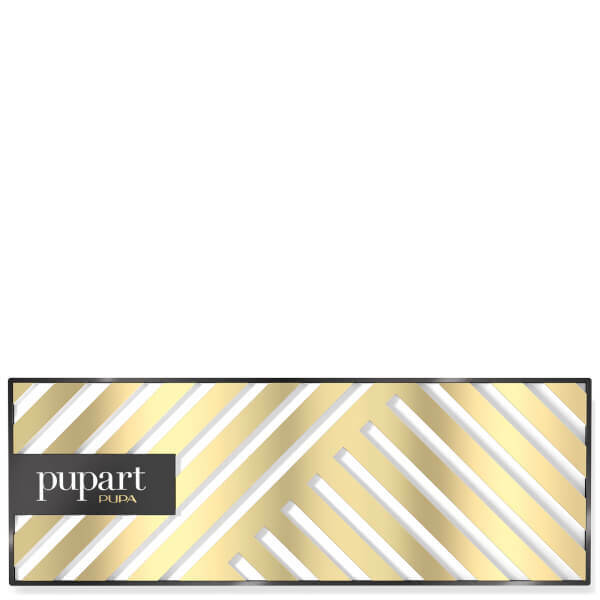 Achieve a flawless makeup look with Pupa's Pupart Gold Cover Makeup Palette in 'Warm Shades', a comprehensive makeup kit housing products for the face, lips and eyes. Stored in a slim compact with geometric gold design, the makeup palette offers a skin-perfecting concealer to help camouflage blemishes, and an array of warm, neutral-toned eyeshadows that deliver highly pigmented, easy-to-blend colour. 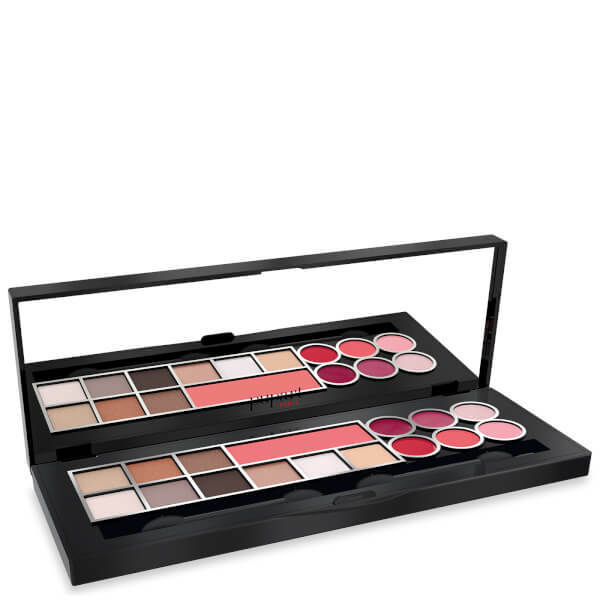 The ideal kit for adding a healthy flush to your skin, it also contains a compact blush to make cheeks pop. Complete with six luscious lip glosses, an eye primer and two dual-ended sponge tip applicators. Built-in mirror for on-the-go touch-ups. Contains: 1 x concealer, 1 x compact blush, 1 x all over, 1 x eye primer, 6 x compact eyeshadows, 2 x double sponge tip applicators, 6 x lip glosses. Face: Use concealer to correct dark circles around the eyes and small blemishes of the skin. Apply blush on the cheeks and blend it upwards to the temples. Use the all over to create highlights on cheekbones, bridge of nose and Cupid’s bow. You can also use it to illuminate the décolleté. Eyes: Apply primer and then eyeshadow. Use the light colour eyeshadow next to the tear duct and below the eyebrow arch, to get highlights. Use medium nuances for the mobile eyelid and the darker ones to intensify the tail of the eye and make it look longer. Use the given applicator. Lips: Apply lip gloss with your finger, using a greater quantity at the centre for a 3D volume effect.